I learned this on March 13th, 2012. Prior to that point, I was invincible. Yeah, I had type one diabetes, but I didn’t experience things I heard other diabetics talking about. I had never been hospitalized, never had a seizure, and never fainted from a low. I would tell myself I had “less” diabetes than other people. I was walking on the edge, and I didn’t care. This feeling of invincibility is all-too-common in teens. Add diabetes to the mix and it is deadly. Almost every teen diabetic I meet thinks that they can sense their own blood sugars, never test, and skip injections without any negative implications. I’ve been there. I get it. I lived with this belief for years. Doctors would tell me to care more, that I’d regret it later. Did I listen? Nope, because I was invincible. Years later after coming out of those oh-so-lovely teen times, I want to slap my younger self. On March 13th, 2012 I was hanging out with friends enjoying a night of partying, not paying any mind to diabetes. I am embarrassed to admit I did not even have a test kit with me. (“YES Mom, I have everything! Don’t you trust me? !” was a lie spoken frequently) That night I threw up over 50 times, blacked out, and almost died. I never imagined I would experience something like this. Gliding through life, thinking that I could predict my blood sugar based on feelings and what I had eaten, how much I had exercised, and how my mood was that day. I was sorely mistaken. Most people with a chronic illness go through this at one point or another. This is not meant to frighten anyone. To the people dealing with these feelings currently–take it from someone who has been through it. Take care of yourself now–build a healthy and happy foundation. Work at improving yourself every day. You think ignoring your disease will make it go away? False. You might feel “okay” now, but you’re walking a thin, scary line that many before you have walked. You don’t have to deal with this alone, but you must deal with it. For the caregivers in this community–outsource. If you’ve yelled, screamed, begged, cried, taken things away, offered rewards, and the person you are caring for is still “invincible”, something isn’t working. This is all-too-common. Caring for a person (especially a child or teen) with a chronic illness takes an army. Take a step back and try to find someone to help. 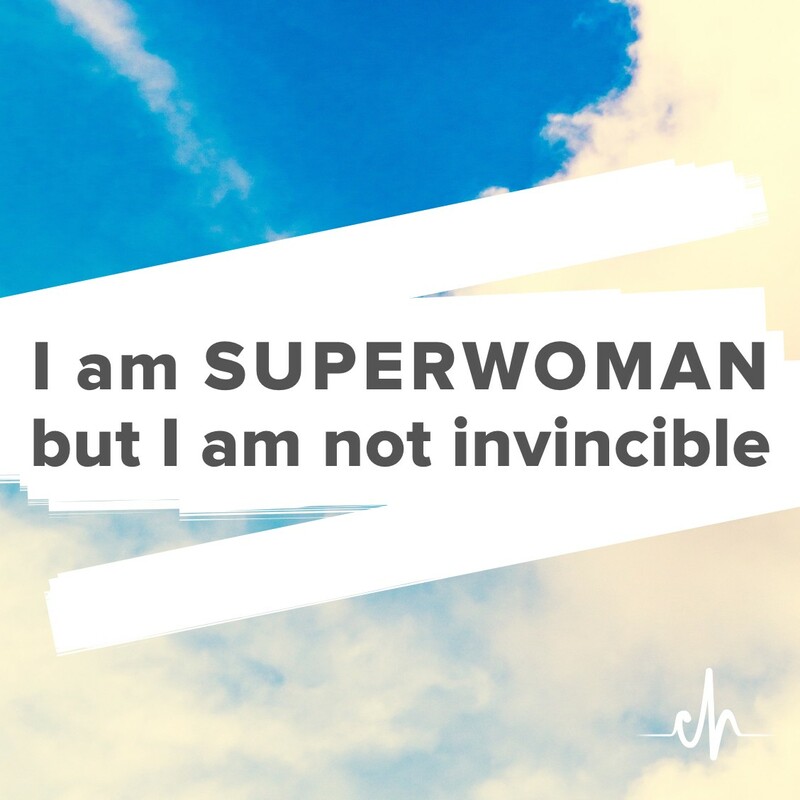 Bottom line… I’m freakin’ superwoman. I was then too, just a broken version that did not want to deal with my own crap. Now that I have made peace with my conditions, know how to handle them, and have come to grips with reality life is SO. MUCH. BETTER. Be sure to like us on Facebook and follow us on Twitter and Instagram!